We started out at his farm just outside of Lethbridge on a beautiful evening with golden sunlight. There were so many great spots there as we drove around (barns, beautiful old trees, an amazing corn field) and we were definitely of interest to the cows who stopped eating dinner to pose for their own photos. 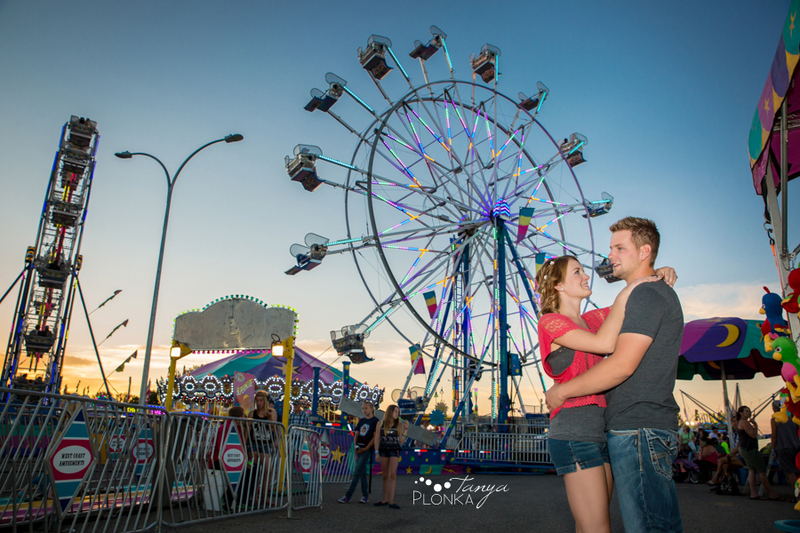 When we were finished at the farm and the couple went through a quick wardrobe change, we headed back into Lethbridge to visit the Whoop Up Days fair. It’s usually tough to schedule photos to happen during the limited time the fair is here so I’m very glad we could make it work there with all the lights and bright colors. I can’t wait for their winter wedding coming up! After he was safe at home, I headed downtown to City Hall with Andrea and Graham and I am grateful they climbed on fountains and in trees for me! They were amazing models and I can’t wait for their wedding this autumn. I can’t wait for their wedding in a couple months! Stephanie and Travis are getting married in the Crowsnest Pass next year and took advantage of Coleman engagement photos while I was down for the weekend this summer. We were joined by their very well trained dogs Luka and Lucky as a trial run to see if the dogs are well behaved enough to attend the wedding; the dogs listened so well so I think they passed the test! It was a gorgeous morning at the Miner’s Path and finally cooled off from the rain the day before. 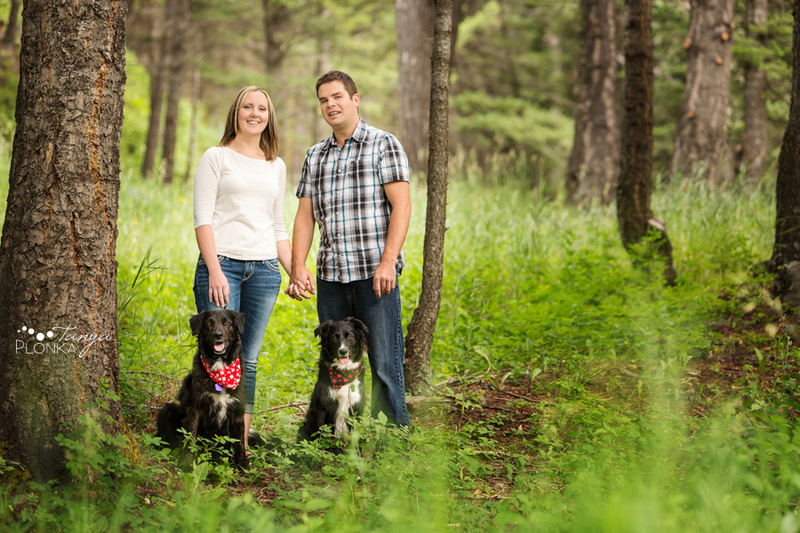 Stephanie and Travis were great in front of the camera for their first professional photos! 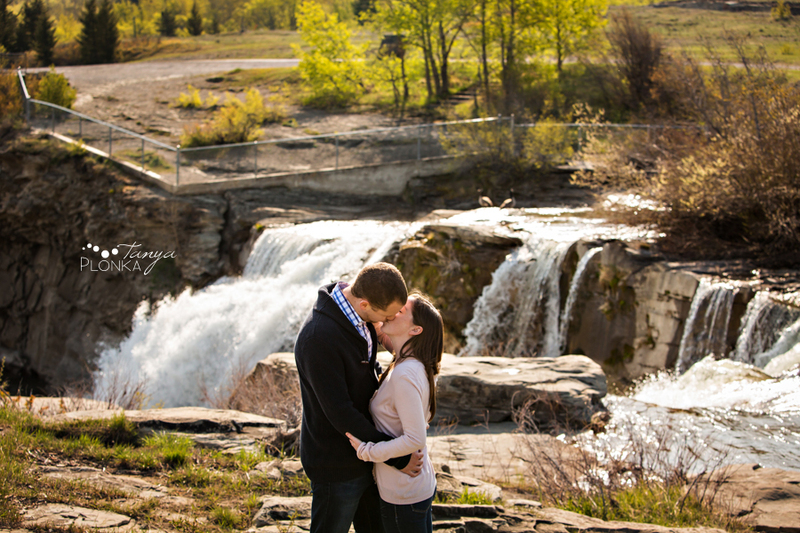 It was a treat to finally properly meet Emily and Evan after planning their wedding over email! They are so cute and snuggly together and perfectly complement each other with their laid back, gentle personalities. I can’t wait for their wedding this autumn! 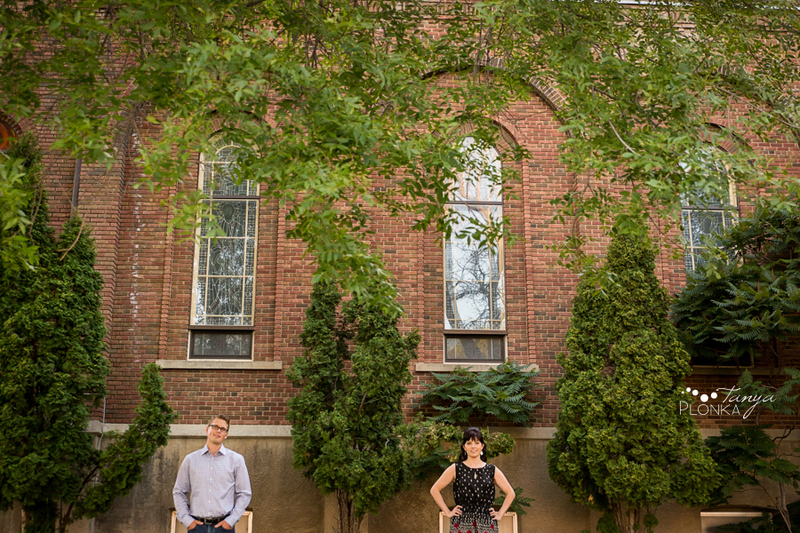 Kristen and Andrew are getting married in a few months and we set out as soon as spring arrived for some casual photos. The two seem so comfortable together like best friends and I love the warmth you can feel between them. Plus they have such great smiles and were super easy to photograph! I’m glad the wind made us reschedule the week before because it gave the river bottom time for the green spring buds to start coming out!